An Atlanta holiday tradition! 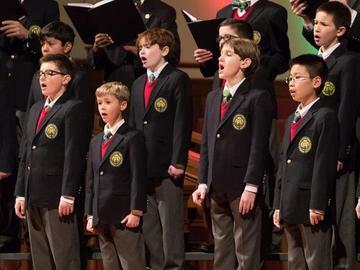 Come hear all five levels of the Georgia Boy Choir as they offer an unforgettable holiday concert. You'll hear choristers ranging from 5 years old through high school as they perform sacred classics, christmas carols, and all your holiday favorites in the magnificent sanctuary of Peachtree Road United Methodist Church in Buckhead. Accompanied by a full orchestra and The Great Organ of PRUMC, this concert is not to be missed!